Shanghai: Kelly and Walsh, 1920. 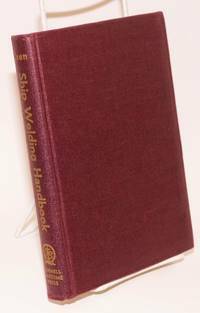 Slender unpaginated book in thin boards with a dustwrapper attached at the spine, containing 28 full-page renderings of ships. Dustwrapper is slightly oversize, with wear along the edges and chipping at the spine. Ownership signature on front endpaper dated 1924. The first edition of this collection of images. New York: The Junior Literary Guild / D. Appleton-Century Company, Inc, 1933. 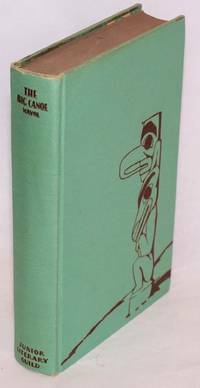 [xi], 257p., sketch-illustrated with nice Art Deco monochrome endsheets, hardbound in first editon green cloth boards. Slight edgewear, lacks the dust jacket, ownership signatures on front endsheet and titlepage and a tiny bookseller's fiche on rear pastedown. Quite clean and sound, a very good copy. 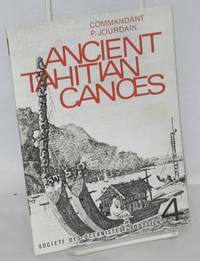 The Haida built ocean-going craft, pillaged other coastal tribes (taking captives as well as loot), then disappeared, about the time of white arrival. The tribe left expecially fine totem poles. Berkeley: University of California Press, 1954. Paperback. 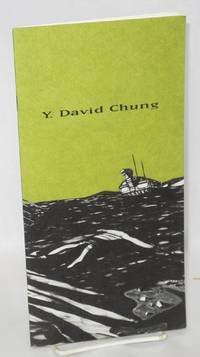 Unpaginated preliminaries, 170p., softbound in plain printed skyblue wraps; cover is dust- and handling-soiled with mild creasing, text edges and half-title leaf are quite foxed and blotchy; there are no ownership or institutional markings, a good-only copy. 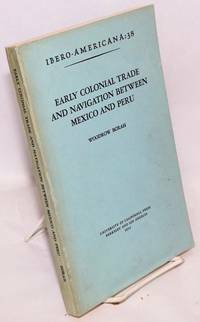 Ibero-Americana: 38. 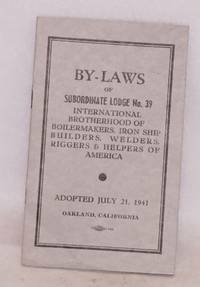 Oakland: the Brotherhood, 1941. 7p., staplebound booklet, bottom of front cover lightly creased. no place (Washington DC? ): Issued by Publications Section, 1918. Pamphlet. 37p., softbound, a small upright pamphlet in 5.5x3 inch stapled wraps; light dust-soil to exterior with faint fingerprints, a bit of crimping, a sound and otherwise clean copy. Nankang, Taiwan: Zhong yang yan jiu yuan min zu xue yan jiu suo, 1970. 237 pages,  pages of plates, front cover corner-clipped, edgeworn, a decent reading copy only. 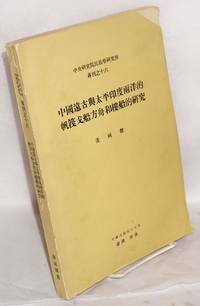 Text mostly in Chinese with English synopsis. [Tokyo]: [Ishikawajima Heavy Industries Co., Ltd, ], 1956. 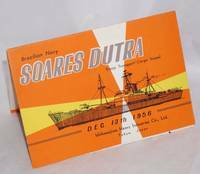 5.5x3.5 inch color postcard mounted in 7.25x5 inch display folder illustrated with line drawing of the ship on an orange, yellow and white field, detailed description of the ship, previous owner's notes in Japanese script on rear otherwise very good. [Tokyo]: [Ishikawajima Heavy Industries Co., Ltd, ], 1956. 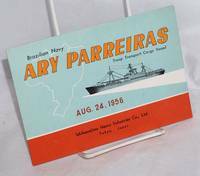 5.5x3.5 inch color postcard mounted in 7.25x5 inch display folder illustrated with line drawing of the ship on an orange, yellow and white field, detailed description of the ship on rear, very good. Paris: Société des Océanistes, 1970. 25p., find diagrams, and period and contemporary images along with analytic text; staplebound booklet, very good. Dossier 4. New York: Whitney Museum of American Art, 1992. 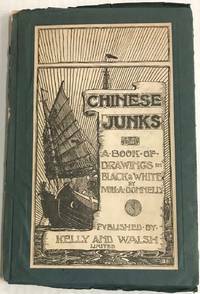 [12p] includes covers, 5.25x10 inches, introduction, essay, CV, illustrated with b&w reproductions and photos, very good catalog in stapled green and black pictorial wraps. Korean American artist who was born in Bonn, Germany. 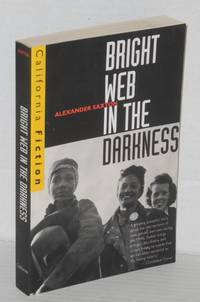 Fairfax Ca: Printed by Arlen & Clara Philpott [also ascribed to Grabhorn-Hoyem] for The Book Club of California, 1977. Hardcover. 26p., title page decorated with an invented armorial shield in four colors and gilt, initial text letter in red, six small line illustrations, one of 400 copies, signed by illustrator Angelo at the colophon. 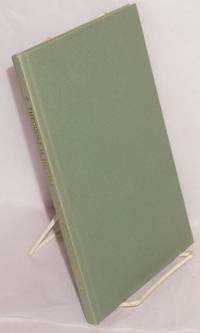 Hardbound in laid-lined grey-green paper over 8.5x5.5 inch boards, spine-titled gilt, is faintly sunned at spine, a very good copy. Publication No. 155. FYI, the clue that the Grabhorn-Hoyem firm involved themselves with presswork comes from a note laid into another copy we have seen. Fairfax Ca: Printed by Arlen & Clara Philpott [also ascribed to Grabhorn-Hoyem] for The Book Club of California, 1977. Hardcover. 26p., title page decorated with an invented armorial shield in four colors and gilt, initial text letter in red, six small line illustrations, one of 400 copies, signed by illustrator Angelo at the colophon. 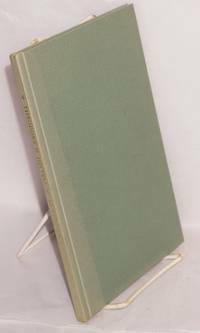 Hardbound in laid-lined grey-green paper over 8.5x5.5 inch boards, spine-titled gilt, a fine copy. Laid in is Club's paid invoice on letterhead with a special note to this purchaser that "We will send you extra copies (2 if possible) after orders for 1st copies have been filled. I'm really afraid that we won't have enough books to fill all the orders ..judging from the rate they are coming in" (this message unsigned). Publication No. 155. FYI, the clue that the Grabhorn-Hoyem firm involved themselves with presswork comes from a pencilled memo also here laid in, this on acidic stock and now enclosed in archival-grade mylar. Annapolis: Leeward Publications, 1977. Hardcover. xvi, 240p., landscape format 11 x 8.5 inch boards, signed by both authors, illustrated with b&w period plates, heavily-worn and torn dj. Berkeley: University of California Press, 1997. Paperback. 331p., wraps, very good condition. 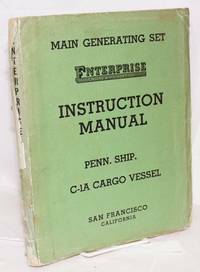 San Francisco: Enterprise, [194-?]. Thirty individually paginated sections, with fold-out diagrams at end, in worn 11x9 inch wraps with surface of spine panel partly peeled away. The C-1A series was manufactured before and during World War II. New York: The Propeller Club of the United States, sponsoring agency, 1959. 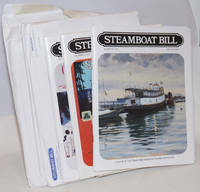 200, 188p., coated paperstock with numerous portrait, site and equipment photos, softbound in 11x7.7 inch glossy wraps. Slight edgewear, free of any markings, both copies very good. Two items together. 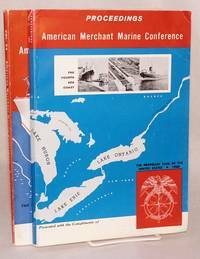 Conferences held respectively in Detroit (32nd Annual) and San Francisco (33rd Annual). New York: Combustion Engineering Company, Inc, 1942. Paperback. 32p., glazed paperstock with b&w diagrams and photoillustration nearly every page, softbound in 7.5x5.2 inch plain printed wraps. A much-resorted-to copy with a light vertical crease to entire fascicle, light soil to covers, rusty oilstains to several leaves within, also light crimping; staples have a touch of rust. The company is based in New York but a back-cover list of District Offices includes San Francisco, Los Angeles, Portland Oregon, and Seattle. 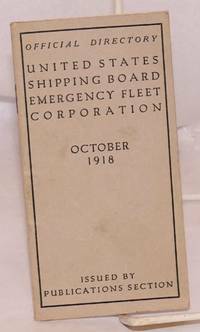 The Foreword specifically mentions Liberty Ship "emergency construction" which necessitated a proven or "frozen" design. 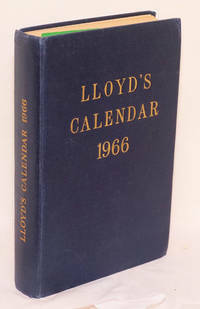 London: Lloyd's, 1965. Hardcover. xviii, 754p., numerous ads on coated stock many of which rubricated, otherwise expect toned acidic india-paper, fortunately in fine unhandled state. Convenient thumb-holds die-cut for tables in rear, likewise unblemished. Hardbound in 8x5 inch blue cloth boards gilt, slightest edgewear, entirely clean and sound, a very good copy. 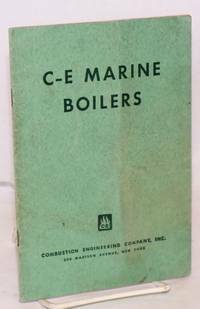 New York: Cornell Maritime Press, 1943. Hardcover. viii, 505p., b&w photos and diagrams in the text on semi-coated paperstock, hardbound in 7.5x5 inch maroon cloth boards titled in bronze, an ex-library copy: find a pocket and scarcely-used date-due ticket within but no exterior librarianisms; expect occasional thumb-soil, else sound and clean. Providence RI: Steamship Historical Society, 1989. Magazine. Slick format, each about 70p. and printed on semigloss paperstick, b&w and (a few) color illustrations each. Softcover 11x8.5 inch magazines, staplebound into high-gloss cardstock color wraps; fine copies, one (the "Poster Issue") in original mailing envelope, all have publisher's ephemeral materials laid in. The 6 items sold as a lot. Issue 202 "contains the most comprehensive history of the outstanding cabin liners, MANHATTAN and WASHINGTON, ever published. Like other American liners built under the provisions of the Jones-White Act in the early 1930's, they provided the passengers with amenities not equalled by their foreign competitors until after World War II.